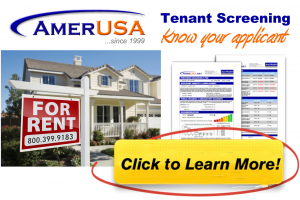 We’d like to say that you don’t need to worry about this topic – that everything will go just fine with your tenants. But, the reality is that there’s a chance you may have to deal with a tenant who needs to be evicted for any number of reasons – and sometimes it can be a nightmare. But, even though you may be 100% right in your mind to get them out before any more problems or damage occurs, you better use the law! Trying to evict a tenant yourself through forceful methods – often referred to as a self-help or do-it-yourself eviction – is illegal! Do not, under any circumstances, try to force a tenant out through intimidation or other tactics – such as having the water shut off, changing the locks on the property, or threatening the tenant. No matter how frustrated you are with the length of the eviction process, or how terrible the situation has become, you must resist what can be seen as an easy way to end the reign of an awful tenant. If you give in to such a temptation, you will surely find yourself in the middle of a lawsuit that you will not win…and even under arrest in some jurisdictions. Not only can a judge order you to pay damages to the tenant, as well as their attorney’s fees – but your state’s laws may give them the right to remain in your property until the end of the lease. Additionally, you could easily find yourself involved in a criminal case for trespass, assault, or a number of other offenses depending on what you have actually done in the attempt to get the tenant to leave. All the way to the bitter end (a word of caution) – Even if you have done the right thing and have taken your eviction case to court and won, you still cannot force the tenant or their belongings out. You can face charges of an unlawful eviction if you do. This job belongs to local law enforcement, who will notify the tenant that they need to vacate the property. If the tenant fails to vacate, a law enforcement officer will come on a specified day and physically remove the tenant and their belongings. So – leave it all up to them!